Email marketing is one of the key components of any digital marketing strategy, but just like mobile text messages, many consumers are inundated with commercial emails on a daily basis and this causes them to lose interest and become “dead” email subscribers. If you are not grabbing and holding the attention of your audience, your business stands very little chance of success. It is important to learn how to re-engage with these users in order to refresh and revitalise their marketing strategies. Identify and target. It is crucial to identify the inactive leads on your email marketing list before you can begin to re-engage. Determine where there has been no activity for 6 to 12 months and work on those leads specifically. Relevant info. Providing your target audience with information that is relevant is crucial in keeping customers interested in your business. Revisit the interests your customers exhibited when they originally subscribed and change your content accordingly. You will see a dramatic difference in your success rate once content becomes a priority. Quality over quantity. 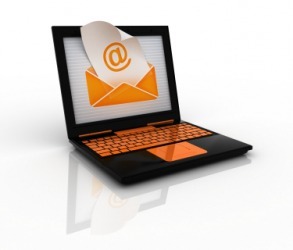 If you bombard your subscribers with emails, they are far less likely to show an interest. Make your emails regular, but send them out on a less frequent basis and focus instead on offering content that is rich and relevant. Tactful content marketing is highly effective in today’s digital world. Data relationship. It is important your subscribers have a relationship with your data and one way to discover exactly what this relationship is, is to ask them directly. Conduct a survey and offer those people who respond to your survey some sort of incentive – a gift card or a discount on a promotional product. This will enable you to re-activate interest as well as offer valuable insight into what you can change to earn these customers back. At WSI OMS, we understand all the necessary components of successful digital marketing strategies for business. Our digital marketing seminars will help you educate your work force on the correct ways to engage with your target audience and correctly utilise the many means of digital marketing from social media to mobile marketing and more. Learn how to engage with your audience, form valuable relationships and implement calls to action. Contact us to give your business the edge.